Where we come to you day or Night!! Jody's Anywhere Truck Repair is located in Tulsa Oklahoma. We offer affordable truck and trailer repair. Our diesel mechanics are professional and courteous. Specializing in nearly every aspect of diesel truck repair . Locally owned and owner operated our diesel repair shop delivers affordable rates and superior truck service. We aim to be your one stop shop for all of your truck service or trailer repair needs. If you would like more information or would like to schedule service please contact Jody today at - (918) 641-5555. Offering bumper to bumper truck repair has made us a semi driver’s best friend for many years. Few diesel repair services deliver the level of quality and professionalism as Jody's Anywhere Truck Repair. If you have any questions, do not hesitate to contact us. We are your diesel engine repair professionals. 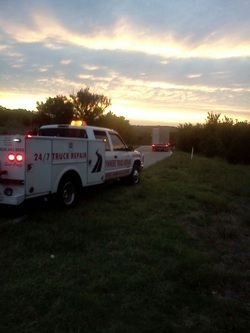 We have you covered from the point of break down until you are safely back on the road. 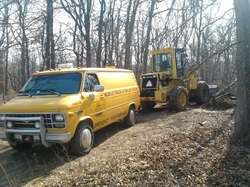 Offering emergency mobile truck repair our goal is to get you back on the road fast and as safely as possible. Our mobile truck repairs are convenient, prompt and wallet friendly. We offer 24/7 services for all your emergency and non emergency needs.